Sculptor Juan Pascual de Mena started working on this fountain way back in 1780. The marble statue of Neptune has a trident in one hand and a coiled snake in the other. 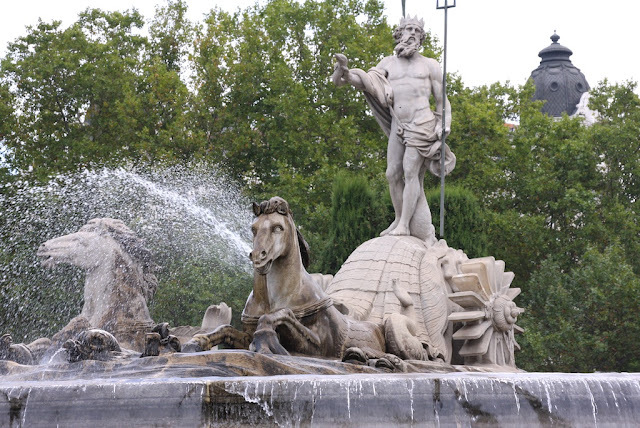 The fountain is located at Paseo del Prado, a few steps away from the Prado Museum in Madrid.